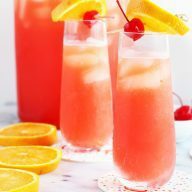 A Strawberry Rhubarb Champagne Cocktail is the fancy cocktail you need to be serving up for your next brunch! 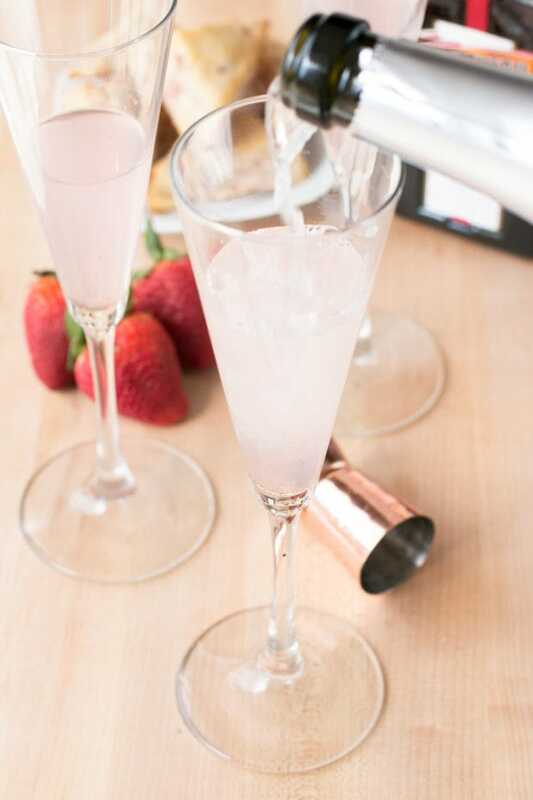 The sweet and simple strawberry rhubarb simple syrup makes an elegant base for the champagne cocktail. They’ll be gone before you know it! I’m a sucker for champagne. The nerd is strong in me today so you’ll just have to excuse the crazy. Not that this crazy is anything new to you, my lovely friends who I appreciate so much (please don’t run away screaming!). 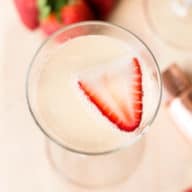 A Strawberry Rhubarb Champagne Cocktail is the one cocktail I imagine downing with all my friends at brunch quite happily. 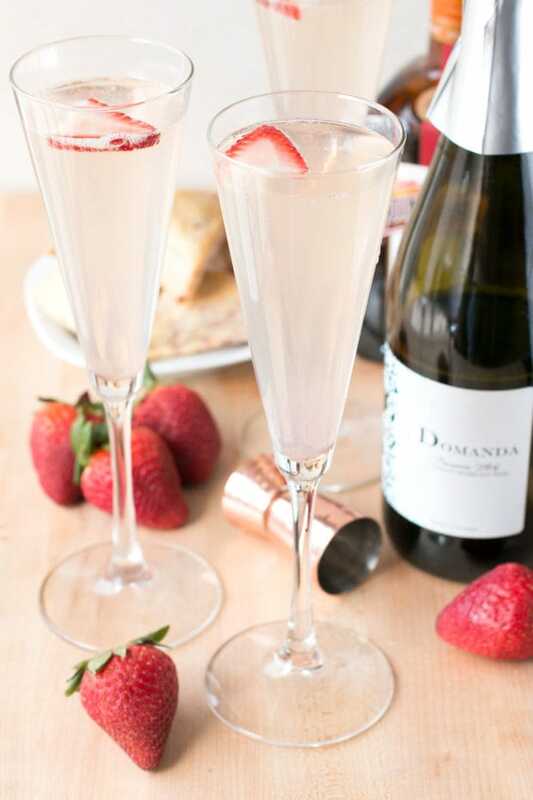 The lovely pink color and the fruity strawberry rhubarb simple syrup give the bubbly champagne a whole new life. Each glass makes you feel like spring has sprung right inside that glass, filling your belly with a tingling feeling (both from the bubbles and the booze, haha). Plus this cocktail is SO spring and SO Easter brunch. 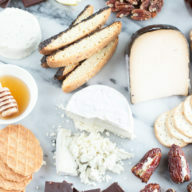 Just try pairing it with some deviled eggs and you’ll totally get what I mean. I mean, when you are sipping on one of these, dealing with the family on Easter will be infinitely easier. Giggle juice (aka champagne) always makes the world a little more rosy, am I right? 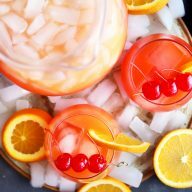 If you want to grab a few other AMAZING cocktails for Easter/brunch/whenever the heck the mood strikes you (and you know you do), check out the delicious delights that my blogging besties have put together today too! 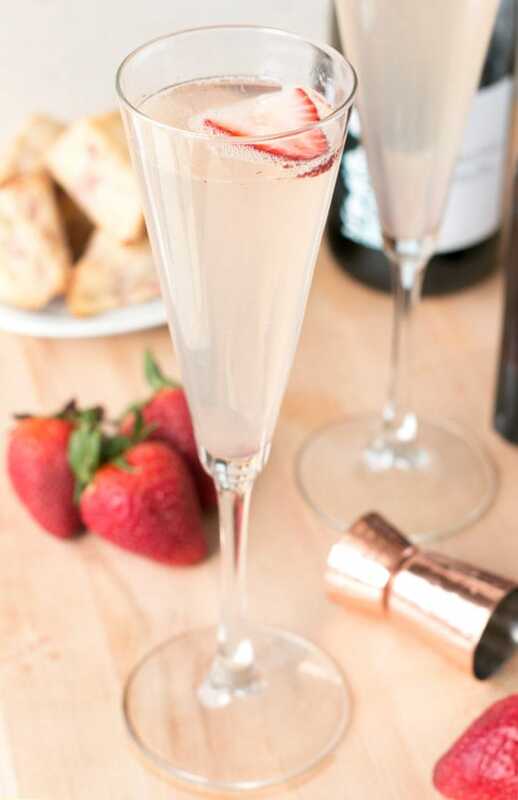 Strawberry and rhubarb create a fruity, sweet base for this elegant champagne cocktail, making it irresistible. To make the simple syrup, combine sugar, water, strawberries and rhubarb in a small saucepan. Bring to a boil over medium-high heat, stirring to dissolve the sugar completely. Once boiling, remove from heat. Cover and let steep 30 minutes. Strain and store in an airtight container in the refrigerator for up to 1 week. To make the cocktail, add Grand Marnier and simple syrup to a champagne glass. Stir to combine. 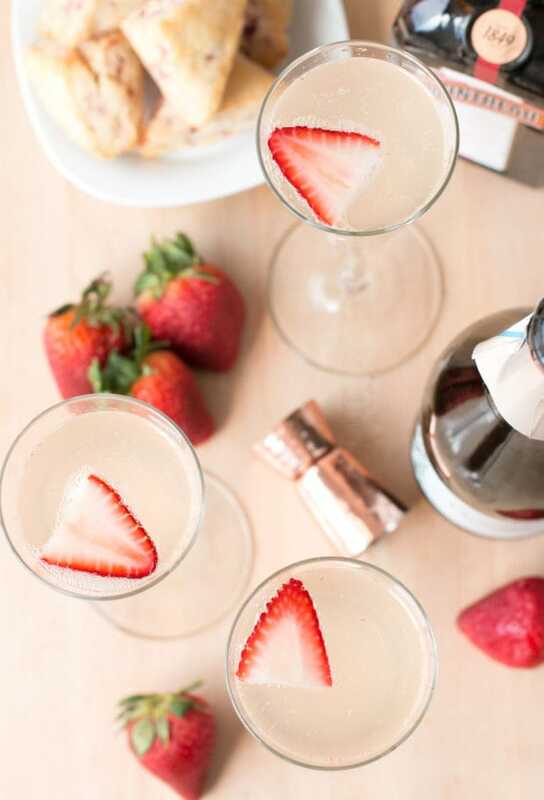 Pin this Strawberry Rhubarb Champagne Cocktail recipe for later! Welp, this IS the fanciest. And so, so, so perfect for the spring! I just adore these flavors together, and I need to try one of these immediately.